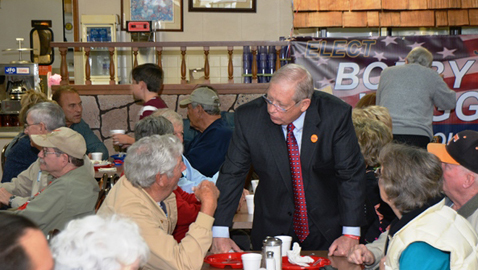 Hundreds of supporters arrived this morning at Wright’s Cafeteria in support of Bobby Waggoner for Sheriff. Almost all who arrived were asked to sign the guest book. Over 350 biscuits were made for the event.